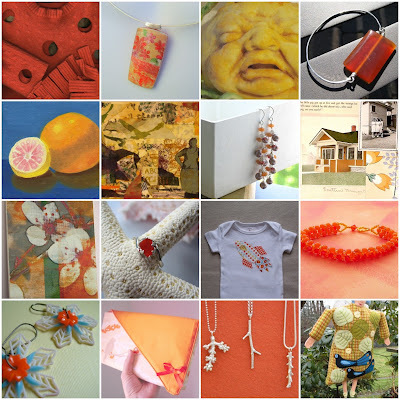 Boston Handmade: Monday Mosaic - Hooray for Orange! Monday Mosaic - Hooray for Orange! and also thanks to Mimi K for putting together this mosaic! To see more of our images check out our Flickr photo pool. So, what are you creating this weekend??? ?